Posted February 3, 2011 by Emmet Farrell in News. 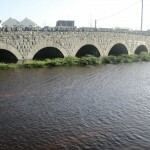 The Office of Public Works (OPW) has confirmed that advance flood relief works in Claregalway are expected to be completed in early May. 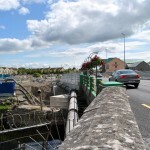 The completion of the works will enable the removal of Crusheeny Bridge, which the OPW has identified as a major obstruction to flow in the Clare River, particularly during the catastrophic floods in 2009. The removal of the bridge is expected to contribute greatly to the alleviation of flooding in the Caherlea/Lisheenavalla area. The OPW is also in the process of engaging environmental and engineering consultants in relation to the main Clare River Scheme. They are expected to be appointed by mid-February and will report back in four to five months. Work is expected to commence on the main scheme in late summer or early autumn 2011 and the scheme is due to take approximately 18 months to complete. Minister for Social Protection Eamon O Cuív has said that he is delighted that progress has been made on the project and that he will continue to liaise with Martin Mansergh, Minister of State with special responsibility for the OPW, to try ensure the work is pursued as speedily as possible. “I can also confirm that the Government have agreed a relocation scheme for those who were flooded during the floods of 2009 and where no works can be done that would have a positive cost benefit to prevent further flooding in the future,” said Minister Ó Cuív.